The “freemium” business model is one that works quite well. What is freemium you ask? It’s the concept between FREE and PREMIUM, yet it can be molded into a unique business model in many different ways. One example of a successful freemium business model is all of the iPhone apps out there that are free. Think about Angry Birds… would it be as successful as it is today if there wasn’t a free version out there for everyone to play? Yet at the same time these apps are still generating millions of dollars for their parent companies. The app is free but they are still making money by placing paid advertising through the app, or if they allow users to take action and sign up to different offers in order to get free credits or bonuses. The user gets a few free credits, and the app maker is compensated with a commission on each referred lead through their app. 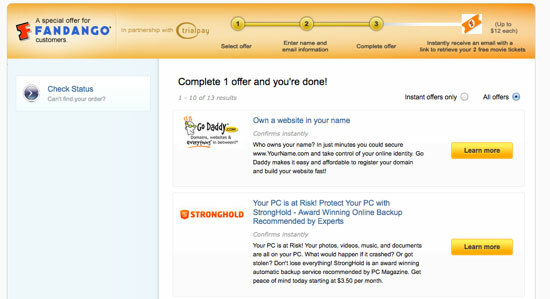 This type of monetization can also be seen on web sites or blogs that offer free training or guidance to the visitor. Instead of selling a guide or access to the visitor, they can make money by selling ads on their site and compensate themselves for their time and effort to create quality and original content. Another example of freemium based business model is offering quality content through your web site or blog and being able to monetize your resources and traffic in different ways. One web site that I’m currently focusing on is in the tech support niche. Right now the site is 100% ad free and full of valuable information for anyone looking to research the IT job market. So if it’s 100% free, how is the site making money? Well, that’s the thing… right now it’s a completely free resource for people to use until it gets to the point where I feel it’s become a large enough resource for people to benefit from advertisements and job listings on the site. In this specific scenario we are actually focusing our efforts on creating a free resource that provides value to the readers and expect nothing in return, while in the apps freemium model a user would have to sign up to an offer or download a game to earn extra bonus points or rewards. Many companies are now building sites and focusing on monetization later… think about what Twitter has done over the previous years with growing their brand and not focusing on monetization until recently. Let’s look at one more freemium model, which has been doing extremely well for many online web sites and apps alike. Below you will see a screenshot from Fandango.com, a very large and successful movie times web site. When you visit the site you will have the option to get free movie tickets if you sign up for some offers. The crazy thing is, some of these offers will end up making Fandango $50+ from the referral commissions! While it’s seems like a good deal for the customer to complete a trial offer or sign up for a service to get free movie tickets, it’s really that much better for the company that is offering the incentive! 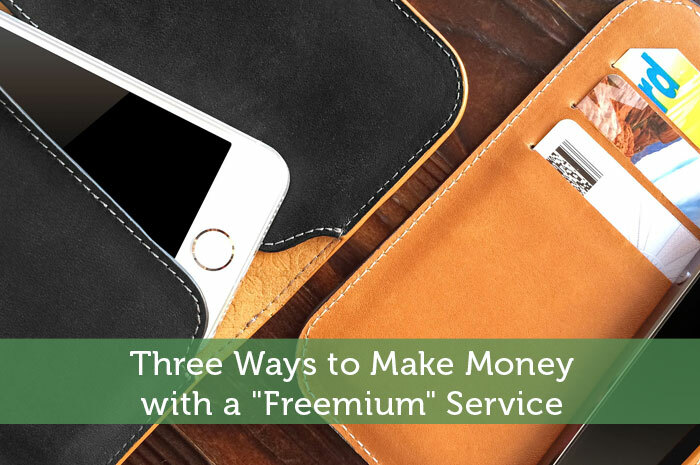 All three of the freemium business models can be applied to nearly any business model if you have a service, product or information that people want. It’s just a matter of seeing how you can implement the process without making it a hassle for the customer, while still providing you with enough revenue/profit to cover the costs of the service. I get the concept of of why this works so well, but when it comes to blogs, I think that if you leave it clean for so long and then one day, switch to start using advertisements, you might put off your visitors. They have come to expect free content without the hassle of ads. This is why I adding advertising right from the beginning. My visitors know it is there, but I still bring them in with content. I agree with Grayson on this point. being so new my site is so low on the SEO scale that it’s barely worth mentioning. I have however (against the best advise) put ads on it. For teh same reason that Grayson mentioned as well as to give me exposure and experience to putting ads on it. I’d rather screw something up now than later when I may have a broader readership base. I actually did a 9 month case study on this when I first started my blog, where I went from pure content with no ads, to seeing how much money the site could generate through referrals, commissions and advertising. Depending on the niche you are in, you’d be surprised with the results. There is nothing wrong with paid advertising on your blog as long as they are targeted and don’t interfere with the user experience. I chose not to put ads from the beginning to offer a good user experience, but after months of giving away free content, I think regular readers wouldn’t mind a few ads, and most of the traffic that comes search engine has no idea how it was before anyway. Definitely! If the content is quality and people are coming to your site on a daily basis, there is no reason why a few ads here and there should deter them from the site. Everyone knows it takes time and money to grow a blog and produce content, so seeing ads is just a normal thing to the average site visitor. You are also definitely right about the search traffic, they wouldn’t know any difference. This concept can apply to really any business. Our optometry office gives free adjustments and repairs on glasses, usually with small parts included. The hope is that the person will make their next purchase from us. The results are usually in our favor. Great example! Basically anything to get them into the door or take action on a web site. “Freemium” truly is everywhere! This is a pretty traditional marketing strategy, closely related to the “upsell”. You draw your audience in with a certain product, service, deal, etc. and while they are at your site, store, etc. you offer additional products/services/links that generate additional profit for you. That said, I know I haven’t done a very good job at my own site, lol. It’s easy to think about the concept and implement it in your mind… but when it comes time to actually setup the process and use it with their site visitors it can be pretty tough. I like this business model. In fact it is something that I’m currently trying to work into my blog at the moment. There are so many ways that you can use freemium and incentive based methods to make money with your blog. Let us know how you make out! Really interesting article. The concept of “freemium” is gaining ground everywhere, it seems. Video games have taken it a step further. They’re now charging full price AND offering even more if you pay “just a little bit extra.” Genius. Video games, software and mobile apps are just dominating the freemium model. There were some ridiculous numbers for the Angry Birds free app and how much it was making versus their paid version. This is a great post. Currently i’m working on developing a “freemium” iPhone app. I definitely think the “freemium” business model is the way to go, I love the idea of giving people most of the content for free. Excellent, that will be exciting! If I have a choice between a free, ad-supported app and a paid app, I’ll go free every time. I tend to be pretty “ad-blind” so they don’t bother me nearly as much has having to pay for something. It’s funny how many companies would now say the same thing… serving ads within apps is now making a lot more money than charging a few dollars per download.